Posted by: Ash on May 8th, 2017, in Guides. Tags: Amazon Rainforest, Amazon River, Cruises, Iquitos, Lodges, Manu National Park, Peru, Puerto Maldonado, Tambopata, Top Attractions, Wildlife. 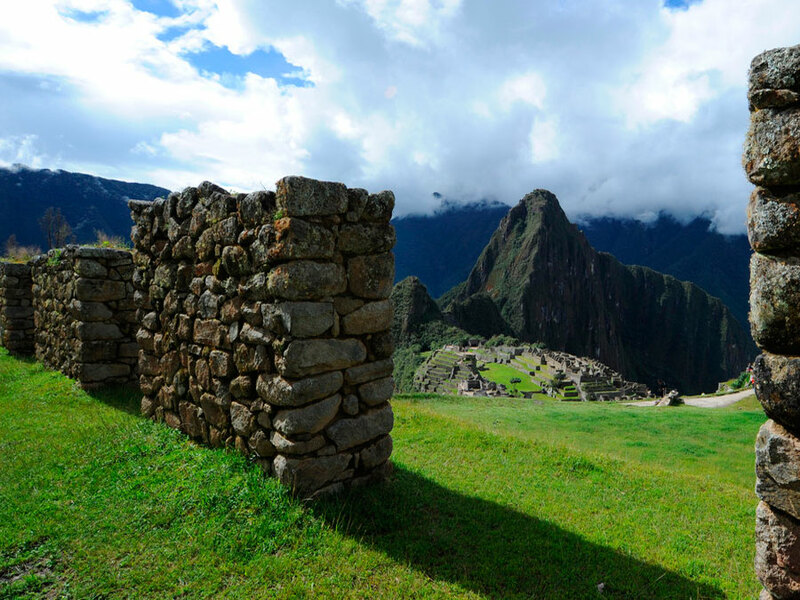 Peru contains one of the best sections of Amazon Rainforest for visitors. The rainforest from Puerto Maldonado has the most clay licks and some of the most beautiful oxbow lakes in Amazonia. Not to mention, the Peruvian section of the Amazon Rainforest has been reported to contain one of the highest levels of wildlife. 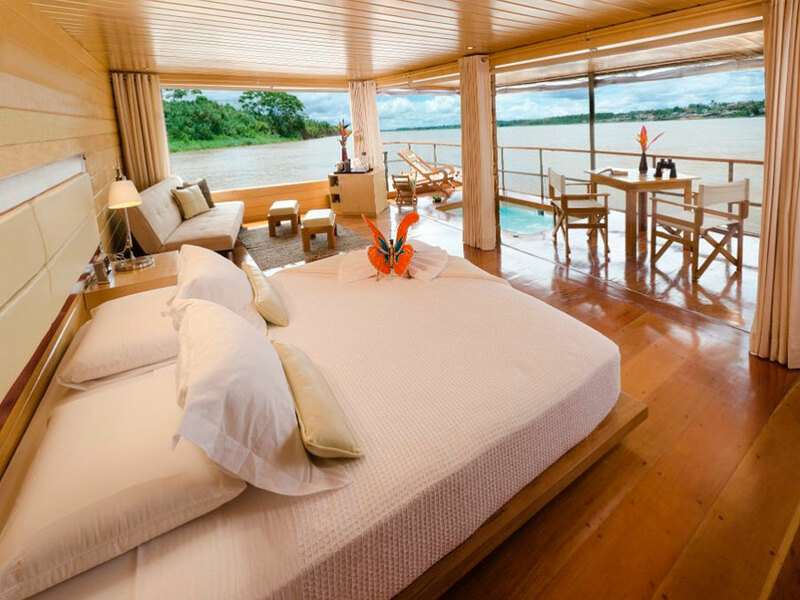 As Peru’s rainforest is home to some incredible Amazon lodges, how do you choose between Puerto Maldonado, Iquitos and Manu. All of these areas offer a fantastic experience. but what’s important if you’re after a general deep rainforest experience are the lodge and guides. To see a summary, you can see our guide to Amazon Rainforest tours in Peru. First of all, let’s start with a few ‘ifs’. If you have at least 5 or more days to spend in the rainforest for an in depth and general experience, all of the deep Amazon Rainforest lodges we recommend from Iquitos, Puerto Maldonado and Manu offer a fantastic experience. If budget is not a concern then all the deep Amazon lodges offer a fantastic general experience. If there are no specific animals you want the highest chance of spotting, all our recommended Amazon lodges for Iquitos, Puerto Maldonado and Manu offer a fantastic experience. For example, here are our recommendations for deep Amazon lodges from Iquitos and for the Tambopata and Manu area from Puerto Maldonado. All offer a slightly different experience, so which one you choose is more down to your personality. Iquitos • The Tahuayo Lodge offers a private tour and a custom itinerary for the Tamshiyacu Tahuayo Reserve 150 km from Iquitos. Not only a great choice for couples or groups, this is a great option for single travelers as there is no single supplement. Tambopata • Accessed from Puerto Maldonado, the Tambopata Research Center offers access to a large clay lick to see many colorful macaw parrots, a choice of rooms and suites, and guided walks in the rainforest to find many different monkeys, colorful birds, butterflies, and mammals. Guests here have a 10% chance of spotting wild jaguar. Manu • The Manu Wildlife Center is then a great lodge for the Manu rainforest and offers rainforest trails, a tapir clay lick, lake with giant river otters, and a macaw clay lick. Either enjoy the Manu Wildlife Center from Puerto Maldonado or a full Manu experience on the Manu Explorer from Cusco. These are for general deep rainforest experiences of 5 days and over. If you have less time available, want to be more budget friendly, or even if you just want the highest chance of spotting specific animals, it will matter more which area you chose out of Iquitos or Puerto Maldonado (for Manu and Tambopata). Let’s go over some of the areas in more detail and what experiences they’re best for. First, let’s start with more budget conscious and shorter Amazon tours of 2 or 3 days. For lowland Amazon rainforest, we don’t recommend Manu. The time it takes and cost of the experience wouldn’t be worth the experience, as after you arrive in Manu, you wouldn’t have long in the rainforest before it’s time to prepare coming back. For shorter Amazon tours, this leaves us with Iquitos or Puerto Maldonado. Iquitos is Peru’s largest rainforest city and is about 5 times the size of Puerto Maldonado. Because of this, the rainforest directly surrounding Iquitos is much more degraded than the rainforest near Puerto Maldonado. The rainforest around Iquitos is full of wildlife when you get farther away from the city itself, such as around 150 km from Iquitos. This means both Iquitos and Puerto Maldonado are great for deep rainforest tours. However, Iquitos is not a good choice for short or budget conscious tours. The short tours need to be closer to the base town, so you don’t waste a significant portion of your time traveling to the lodge. This is the same idea for budget conscious tours as fuel is one of the main expenses for rainforest tours. The Posada Amazonas Lodge is a community owned lodge in the Amazon Rainforest of Puerto Maldonado. The lodge is located in the Ese Ejja Communal Reserve, which is connected to diverse Tambopata National Reserve. From the Posada Amazonas, enjoy guided tours in the rainforest to find different Amazon monkeys, colorful birds, and tour the nearby oxbow lake to find the resident family of giant river otters. You will also enjoy visiting small parrot clay lick to see parakeets gathered at the clay, climbing a tall canopy tower to see toucans and parrots flying over the canopy, and some community tours. Visit a shaman to see and learn about medicinal plants in Amazonia and a working jungle farm to try exotic fruits. 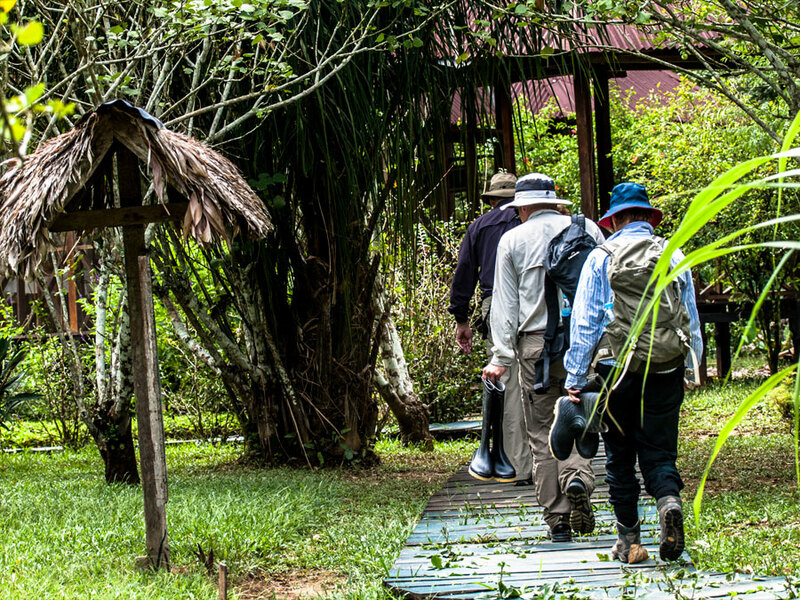 The Posada Amazonas Lodge makes a great choice for 2 or more days in the Amazon Rainforest. A similar lodge to the Posada Amazonas above, the Refugio Amazonas Lodge is a bit farther from Puerto Maldonado and is found in the buffer zone of Tambopata National Reserve. From the Refugio Amazonas, enjoy visiting a tall canopy tower to see over the Amazon Rainforest. From here, you can even spot toucans, parrots, mixed species flocks, and sometimes even monkeys. 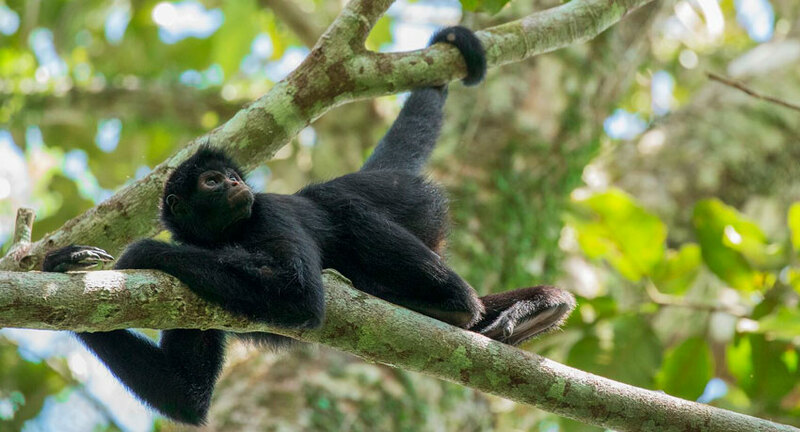 On trail walks in surrounding rainforest, enjoy spotting several different monkeys, colorful birds, emergent trees, beautiful plants, and a small parrot lick and a mammal clay lick. You can also enjoy a wellness center where you can enjoy aromatherapy treatments and a massage. Refugio Amazonas is also a preferred choice for families due to the comfortable suites, friendly staff, and the children’s trail. This is a fantastic trail made just for children to learn about the Amazon Rainforest in a more relatable way. Offering your own exclusive bungalow in the Tambopata rainforest, the Amazon Villa provides a great choice for a bit more relaxation in the jungle. You will be assigned a private guide and enjoy private transfers both to and from Puerto Maldonado. The villa is located in the buffer zone of the incredible Tambopata National Reserve where you can find incredible wildlife. You will be assigned a private guide to explore the rainforest on forest trails, the tall canopy tower, lake tours, and visits to small clay licks. You can also enjoy a choice of other activities, including visiting a large macaw claylick, aerobotany, citizen science, night walks and birdwatching. If you would like an in depth experience of the Amazon Rainforest to truly experience the wildlife and diversity this incredible environment has to offer, we recommend a tour from deep Amazon Rainforest lodges. Here are our recommended lodges to experience the Amazon Rainforest for simply a general experience to see a diversity of animals and plants. We recommend a choice from the first three Amazon Rainforest lodges we mentioned farther up the page. After arrival in Iquitos, you will met by Tahuayo Lodge staff who will take you 150 km up the Amazon River to the Tahuayo Lodge. The lodge is positioned in the wildlife-rich Tamshiyacu Tahuayo Reserve. What’s different about the Tahuayo Lodge from most others is that you are assigned a private guide on a custom itinerary as standard. This means you can choose a walking pace suited to how active you want to be and focus on nature, relaxation, photography, or adventure. 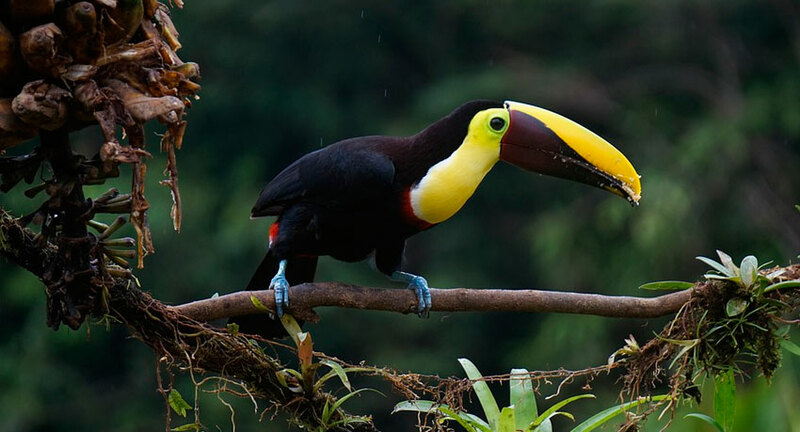 You guide will lead you through the Tahuayo Reserve rainforest to find several different monkeys, sloths, colorful birds including toucans and macaws, pink dolphins, and much more. The Tahuayo Lodge offers the largest canopy zipline system in Amazonia and walking, hiking, and canoeing opportunities. You can even choose to camp a night in forest. On stays of 6 days and over, you can spread your time between the main Tahuayo Lodge and the Tahuayo Lodge Amazon Research Center. The research center is located in even more pristine rainforest and offers a 1,000 acre primate research grid where you can spot howler monkeys, capuchins, squirrel monkeys, tamarins, marmosets, and saki monkeys. Located in the middle of Tambopata National Reserve, the Tambopata Research Center is positioned near one of the largest macaw clay licks in the Amazon Rainforest. You can watch many colorful macaws gathered at the clay, which they visit to obtain salts and medicines that help neutralise toxins found in their diet. After watching this spectacular display of sound and color, head back to the lodge to enjoy your very comfortable suite. From the Tambopata Research Center, you will also enjoy walks on the rainforest trails to find many different animals and plants, such as several different monkeys, colorful birds, reptiles, and amphibians. As the lodge is positioned in the middle of the diverse Tambopata National Reserve, you will experience wildlife at carrying capacity for the environment. This increases your chances of spotting more abundant and rare rainforest wildlife. For example, guests at the Tambopata Research Center have a 10% chance of spotting wild jaguar on their stay. The Manu Wildlife Center is a fantastic lodge to experience the Manu rainforest. Enjoy guided trail walks to find several different monkeys, interesting reptiles, amphibians, and different birds. 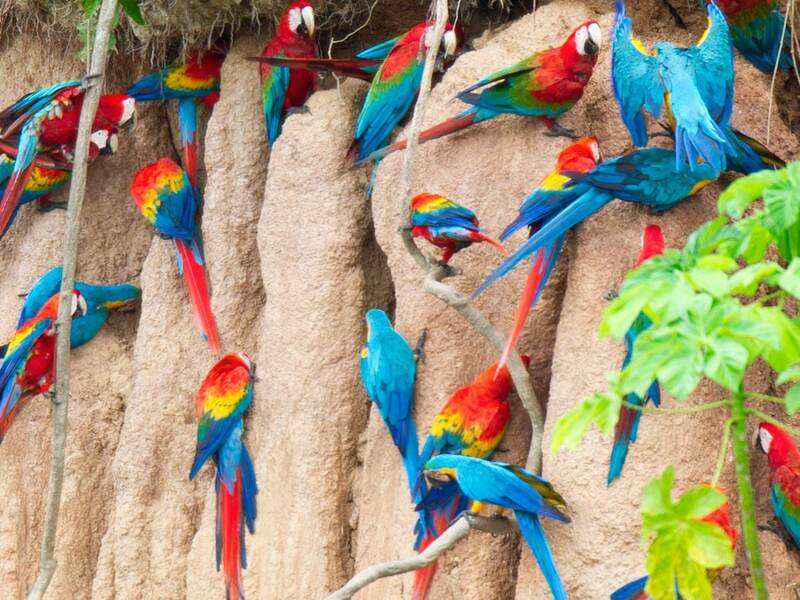 Tha Manu Wildlife Center is located by a large macaw clay lick where you can spot hundreds of brightly colored macaw parrots at one time. In addition to the macaw clay lick, you can visit the tapir clay lick and stand a chance of spotting South America’s largest land mammal. If you’re interested in a river cruise in the Amazon Rainforest then you will need to head to Iquitos. Iquitos is the Peruvian port of the Amazon Rainforest and your departure area for some fantastic Amazon River cruises. Here, we have selected some of the best cruises available that take you into the incredible Pacaya Samiria National Reserve. The following cruises are all expedition cruises where you won’t be confined to the vessel, but will instead explore the forest. Between relaxing in comfortable suites and eating delicious food, you will enjoy guided skiff tours in the incredible reserve. See pink river dolphins, different rainforest mammals, toucans, parrots, many other colorful birds, and several different monkeys. Moving through the canopy, see capuchins, squirrel monkeys, tamarins, saki monkeys, and the large howler monkeys. 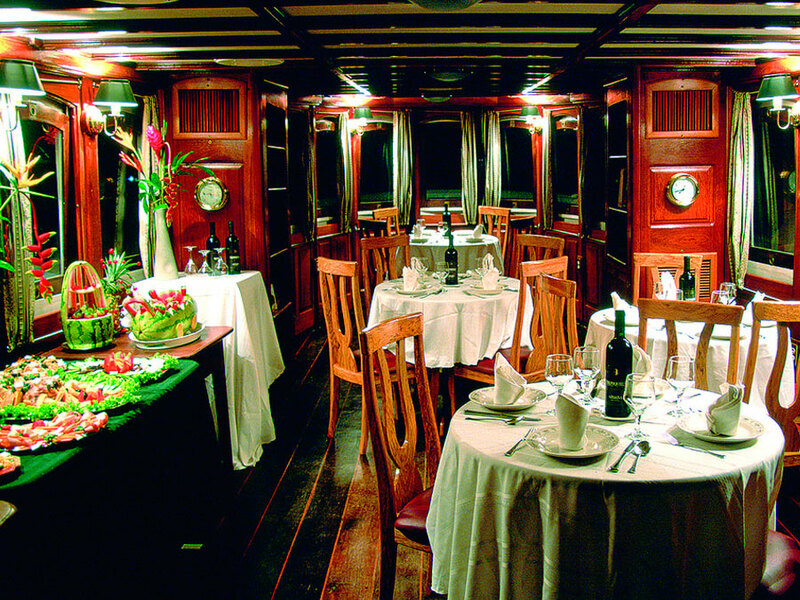 The benefits of a river cruises are that you will enjoy a more contained hotel-like environment when not exploring the forest, air-conditioning to keep you cool, and delicious cuisine. Lodges on the other hand offer more adventure and are placed in areas after years of research into where they can maximize wildlife sightings. The following list offer more comfort in the rainforest. On cruises, you will explore more than one area of Amazon as the cruise moves through the rainforest. As for wildlife opportunities, the diversity of different animals you can see is similar from the Tamshiyacu Tahuayo Reserve in Iquitos, the Tambopata National Reserve near Puerto Maldonado, and the Manu rainforest. However, if you want the best chance of seeing specific animals, there are places you can go to maximize your chances. Clay licks are areas where different animals visit to feed from salt-rich and medicinal clay, which also helps to neutralise toxins in a diet of unripe fruits and seeds. Clay licks are very attractive to different animals and you can simply sit by a lick to watch the different animals that visit. This is one of the best ways to maximize wildlife sightings of specific animals that are otherwise hard to see. Note that the rainforest of Puerto Maldonado has more accessible clay licks than anywhere else in the Amazon Rainforest. There are no clay licks in Iquitos for example. Take a look at the following table for recommended lodges near different clay licks. Now, let’s go over the best places for maximizing your chances of seeing specific animals when comparing Iquitos, Puerto Maldonado, and Manu. The animals mentioned are the main ones that will be hard to see in certain areas of the Amazon Rainforest. As icons of the Amazon Rainforest, you will no doubt see macaws flying over the rainforest no matter where you choose. They are commonly found in all the Iquitos rainforest, Manu, and Puerto Maldonado areas. However, you will have more luck seeing them fly over you if you’re deep in the jungle. To maximize your chances and to see many macaws gathered at clay licks, we recommend visiting lodges where they have macaw clay licks nearby. Iquitos, for example, has no accessible clay licks. The best lodges for macaw clay licks include Manu Wildlife Center and the Tambopata Research Center, which is located in the middle of Tambopata National Reserve from Puerto Maldonado. For the best chance of seeing pink dolphins and other river dolphins, we recommend the lodges or cruises from Iquitos in northern Peru. Although found in the southern Amazon Basin, they are rarely seen. Excellent Amazon tours for seeing pink river dolphins include the Tahuayo Lodge, Delfin II, and Amazon Discovery (Delfin III). Monkeys are found all over the Amazon Rainforest. The larger species and the most diversity are generally found deeper in the rainforest. To single one tour out, the Tahuayo Lodge provides an included stay at their research center on tours of a week or more. The research center has a 1000 acre primate research grid where it’s easier to spot a high diversity of different Amazon monkeys, including squirrel monkeys, howler monkeys, capuchins, tamarins, marmosets, saki monkeys, and titi monkeys. For giant river otters, it’s best to head to a lodge located nearby an oxbow lake where the river otters live. Great lodges near these areas are the Posada Amazonas Lodge and Sandoval Lake Lodge from Puerto Maldonado, but also the Manu Wildlife Center in the Manu rainforest and Manu Adventurer for the Manu Reserved Zone. Again, sloths are found all over the Amazon Rainforest. They seem to be more easily encountered in the northern Peruvian Amazon around Iquitos, such as from the Tahuayo Lodge or aboard the different Amazon River tours from Iquitos. Here, you can see both the two-toed and three-toed sloths clinging to the branches. Tapir are the largest land mammal in South America and are very elusive. You can see signs of tapir from many different rainforest tours. However, to get the best chance of actually seeing these impressive animals, it’s best to head to a rainforest lodge nearby a tapir clay lick. These lodges include the Manu Wildlife Center in the Manu rainforest and the Heath River Wildlife Center by the Tambopata National Reserve. The most powerful bird of prey in the Amazon Rainforest, harpy eagles are an impressive animal to see in the rainforest. 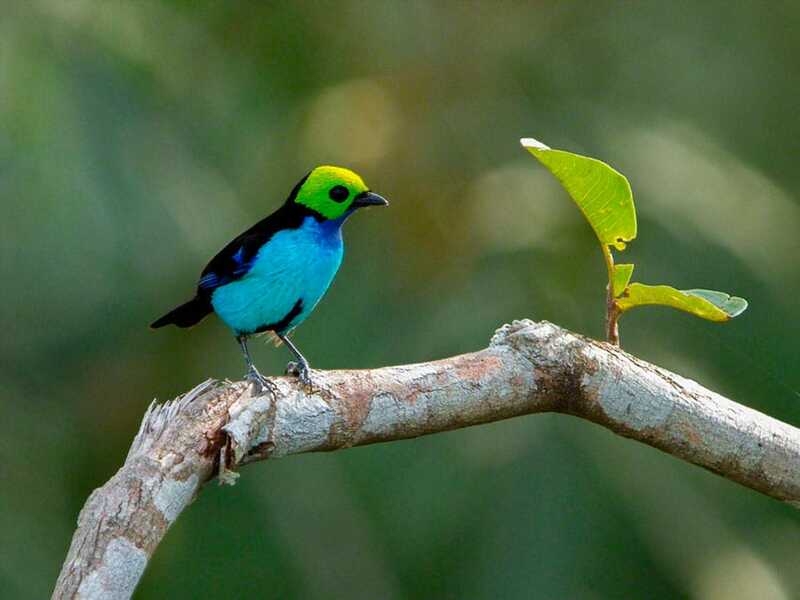 They are rarely seen and are one of the most sought after birds to see among tourists and rainforest guides alike. Although hard to spot, the Refugio Amazonas Lodge and Amazon Villa from Puerto Maldonado (in the Tambopata Reserve buffer zone) have recently found nesting areas nearby. The rainforest here seems to be a preferred nesting area for the magnificent eagles. Now we have possibly the most sought after wildlife sighting in the Amazon Rainforest. Although rarely seen, you can increase your chances a little of seeing the Amazon’s top predator. Deep lodges where animals are at carrying capacity for the environment are the best choice. It seems the lodges in the southern Peruvian Amazon have the best chance of spotting wild jaguar, which is possibly due to abundant mammal clay licks. An excellent lodge with a higher than 10% chance of seeing jaguar is the fantastic Tambopata Research Center. That is to say, more than 10% of tourists get lucky and spot jaguar from this excellent wildlife lodge.